The sad stories flow in each day. A post-doctoral fellow gives up scientific research after 10 years of training. A cancer researcher faces a fruitless job search and expiring visa. The endocrinologist agonizes over letting a long-time lab employee go. Hundreds of these tales are unfolding across the country as the National Institutes of Health struggles to stretch its dwindling budget. Because of sequestration, an NIH budget that barely kept pace with inflation through the 1990s and early 2000s was slashed by another $1.6 billion this fiscal year. If Congress cannot agree on a more balanced approach to budget cuts, another $6.7 billion in needed biomedical research funding will disappear in Fiscal Year 2014. 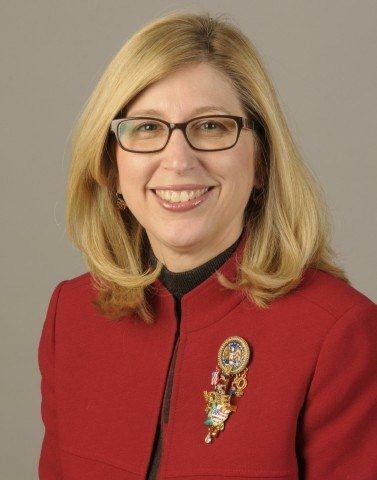 The NIH funding cuts are nothing short of a disaster for biomedical science in the United States, as the Society journal Endocrinology’s Editor-in-Chief Andrea C. Gore observed in a recent editorial. It is disheartening to think of the treatments that won’t be developed, the discoveries that won’t be made and the patients who will suffer as a result of Congress’ short-sighted funding decisions. As president of The Endocrine Society, I saw firsthand at the Society’s annual meeting ENDO 2013 just how many breakthroughs our researchers are making to ultimately improve the lives of people who have conditions like diabetes, thyroid disorders and cancer. Without biomedical research funding, promising scientific avenues won’t be explored and fewer new treatments will be available to patients in the years to come. In my own lab at Northwestern University, we instituted a hiring freeze after our grant award was halved. Now we won’t be able to investigate some key questions, such as how endocrine-disrupting chemicals in our environment impact reproductive health. But there are actions we as researchers and scientists can take to avert the worst effects of this crisis. Congress and the public need to know how much pain the sequester is causing by delaying breakthroughs in treating infertility, heart disease and metabolic disorders. Congress should reverse course. Take a moment to share your story with your Members of Congress, your hometown newspaper, or a health organization like The Endocrine Society, Research!America or United for Medical Research. By raising our voices as one, we can rewrite the story’s ending and protect our nation’s biomedical research legacy.